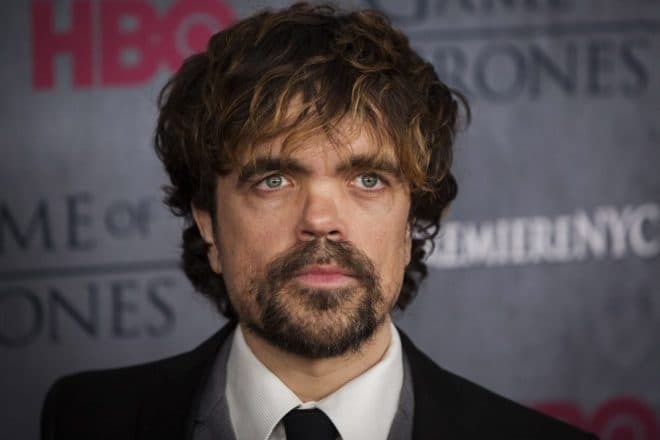 Peter Dinklage is an American theater and film actor who became famous for his role in the independent film The Station Agent and gained worldwide popularity playing the role of Tyrion Lannister in the fantasy series Game of Thrones. Peter Dinklage was born in the city of Morristown, New Jersey. His father, John Carl, was an insurance salesman, but he was often without a job, and mother Diane was an elementary-school music teacher. Peter also has a younger brother, Jonathan. One year later, Peter was diagnosed with one of the forms of achondroplasia. 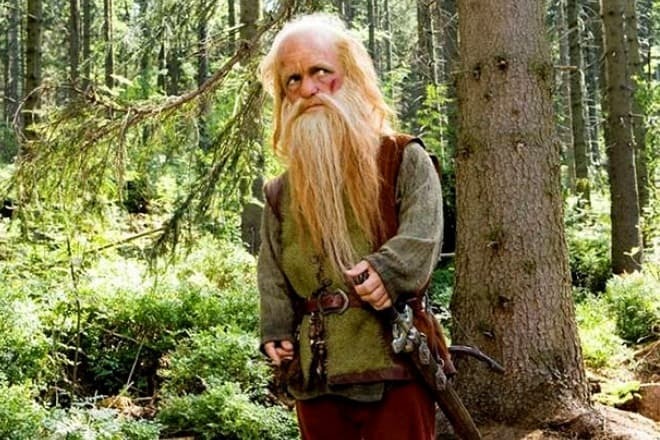 It caused that his limbs were unusually small, which led to dwarfism. When he was 135 cm. tall, his height did not change anymore. The actor’s weight is 35 kg. His classmates and other peers often bullied Peter at Delbarton Elementary School. It made the boy reserved, quick-tempered and aggressive. 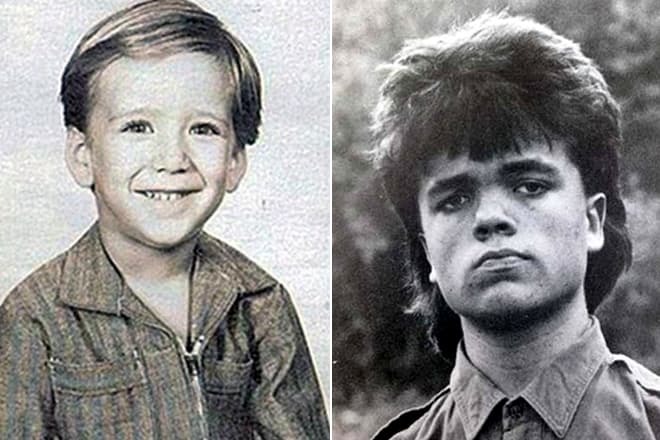 But in his teens, when he moved to the Catholic preparatory school for boys, Dinklage could perceive his appearance with irony, which affected the attitude of others. He took part in theatre productions there and attended acting courses. 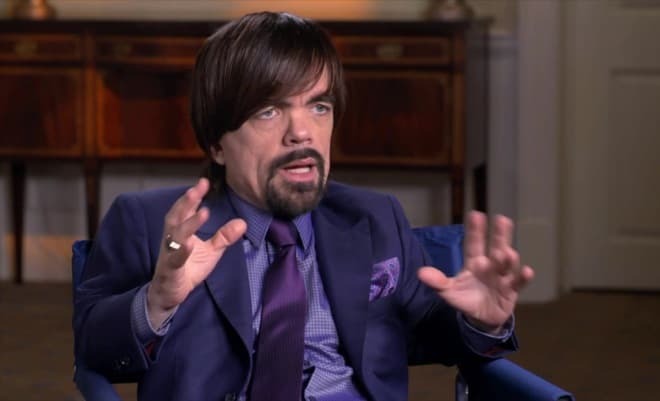 After graduation, Peter Dinklage decided to pursue a career in acting. In 1991 he entered Bennington College. The young man was more diligent than his groupmates, which was noticed by all teachers at college. The actor could begin his acting career immediately after graduation. Peter Dinklage made his movie debuts in the low-budget, non-commercial drama Living in Oblivion. Later, there were little-known movies Safe Men, Never Again and Pigeonholed. He also played bit parts in the series The $treet and Third Watch, in the comedies Just a Kiss and Human Nature. Peter got a more prominent role in the mystical comedy 13 Moons. But the actor made a real breakthrough and gained worldwide fame after the release of the independent drama The Station Agent in 2003, where Dinklage played the title role of Finbar McBride, who tried to look back on his life. The actor was nominated for nine various film awards and won a prize at the Ourense International Film Festival, the New York Film Critics Circle Award and the Satellite Award. After this success, the actor starred in the melodrama Tiptoes, the Christmas comedy Elf, the romantic comedy The Baxter, the television series Nip/Tuck, the comedy Death at a Funeral and The Chronicles of Narnia: Prince Caspian. Peter performed bit parts in these movies, but he played title characters in such films as the tragic comedy Find Me Guilty, the fantasy comedy Penelope, the romantic comedy I Love You Too and the family fantastic comedy Underdog. He also played the leading role of K.C. Munk in the crime comedy Pete Smalls Is Dead. A new surge of Peter Dinklage’s popularity was after the release of the first season of the acclaimed fantasy series Game of Thrones, a screen version of George R.R. Martin's fantasy bestselling novel. 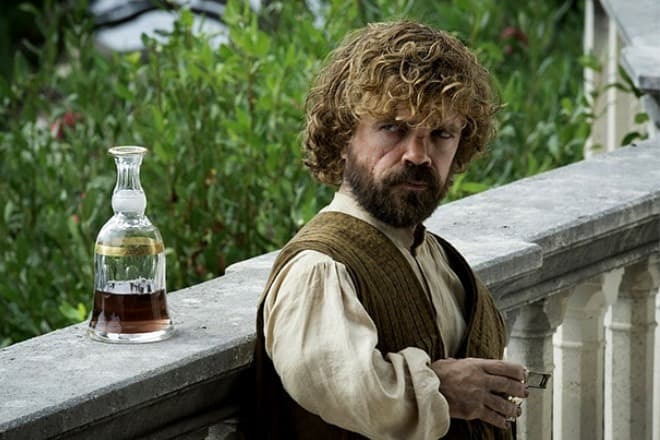 The actor received the Golden Globe Award and the Emmy Award twice for the role of Tyrion Lannister. The actor is nominated every year at various film festivals for best supporting actor in this series, which is being filmed nowadays. Besides, Peter was nominated for the MTV Movie Awards Best Villain for participating in the filming of the superhero action movie X-Men: Days of Future Past. At the same time, the actor participated in the filming of the black comedy Knights of Badassdom and the drama The Angriest Man in Brooklyn. The latest full-length film with Peter Dinklage is the fantastic comedy Pixels directed by Chris Columbus, where the actor played a fan of computer games. Besides, Dinklage voiced animated characters of such animated films as Scrat's Continental Crack-Up: Part 2, Ice Age: Continental Drift and Angry Birds. In 2005, Peter Dinklage married. The actor's wife is Erica Schmidt, who works as a theater director. Erica is average height, but she does not have hang-ups about her short husband. At the end of 2011, their daughter Zelig was born. Peter adheres to a strict vegetarian diet. Since the age of 16, the actor has not eaten meat products. Because of the actor’s nonstandard height, journalists regularly ask Peter Dinklage questions about everyday life. Peter does not refuse to answer such questions and tells the press that he buys clothes in children's departments, and sometimes even asks his wife to sew underneath a good thing. He says that he does not have hang-ups about it and he is glad that his daughter Zelig is already taller than her father, although she attends only elementary school. The popular account on Instagram is also devoted to the actor’s life. There are 2,7 million subscribers. It is a fan account, which is written at the top of the page. Nevertheless, many journalists and actor's admirers consider the page to be Peter’s verified account. In 2016, the actor played the role of Renault, the owner of the Renault company, in the comedy The Boss written by Melissa McCarthy. Melissa McCarthy also played the leading role of the fraudster, who is trying to restore her good name and become an industrial magnate, who is loved by everyone. The same year, the actor voiced Mighty Eagle in the comedy film The Angry Birds Movie, inspired by the video game series of the same name. The cartoon tells about the opposition of peace-loving birds on Bird Island and pigs, who stole the eggs of birds and destroyed their village. January 25, 2017, the fantastic detective drama Rememory premiered, and Peter Dinklage played the leading role. The plot of the film tells of the ingenious scientist-inventor. The genius mysteriously dies the day before the presentation of a new invention, an instrument that records and reproduces memories. On July 16, 2017, the first episodes of the seventh season of Game of Thrones were released. Nowadays, the producers have already announced the release of the last eight season of Game of Thrones. The season will premiere in December 2018. Peter Dinklage will take part in shootings, but there are no other details. The season will be based on the second half of the book "A Dream of Spring," so even the fans of the book do not know the characters’ fate. The authors of the series work in complete secrecy, fearing that the episodes will be leaked, or the actors will talk to reporters about the plot twists. Therefore, the film crew is going to shoot a few endings of the season, so that even a leak would not determine the script. Besides, the studio plans to distribute the script to the actors at the last moment and cut them down so that the actors know only their parts and do not tell the press the full text of the series. In September 2017 the crime drama Three Billboards Outside Ebbing, Missouri with Peter Dinklage was shown at the Venice International Film Festival. The film tells about the conflict of a desperate woman, whose daughter was killed, and the state police because she accuses them of inaction. The film will be released in February 2018. According to rumors, in 2018, the actor will also appear in the superhero film Avengers: Infinity War, a large-scale crossover based on the Marvel Comics superhero films.